Remove the engine mount bracket. Refer to Engine Mount Bracket Replacement - Right Side. Install the EN-48488 holding wrench (2) to the drive belt tensioner (1). 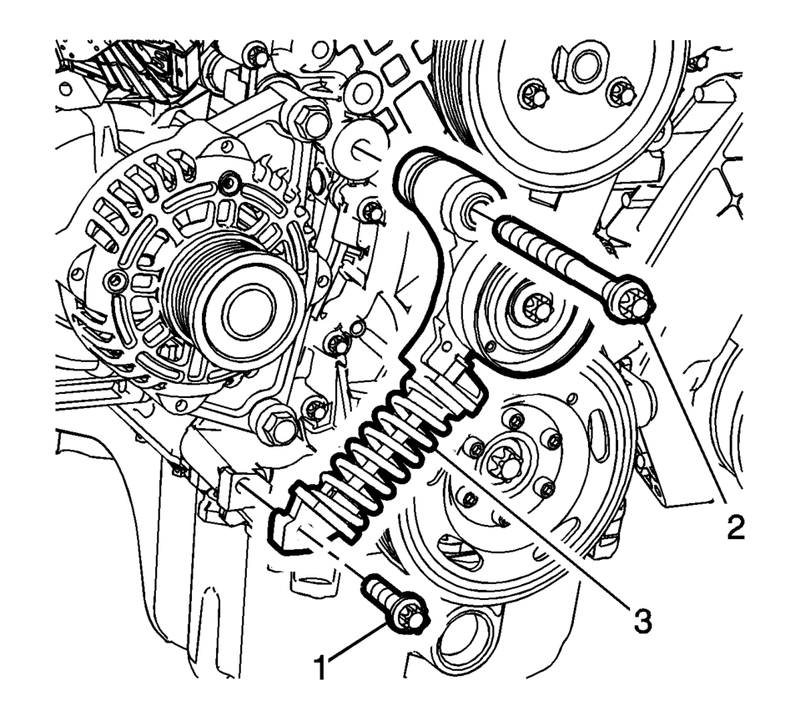 Move the drive belt tensioner clockwise until the drive belt tensioner can be fixed with EN-955 locking pin (1). Remove the EN-48488 holding wrench . Repeat steps 4 and 5 in order to remove the EN-955 locking pin from the drive belt tensioner. Remove the lower drive belt tensioner bolt (1). Remove the upper drive belt tensioner bolt (2). Remove the drive belt tensioner (3). Install the drive belt tensioner (3). Install the lower drive belt tensioner bolt (1). Install the upper drive belt tensioner bolt (2). Engine mount bracket is removed. 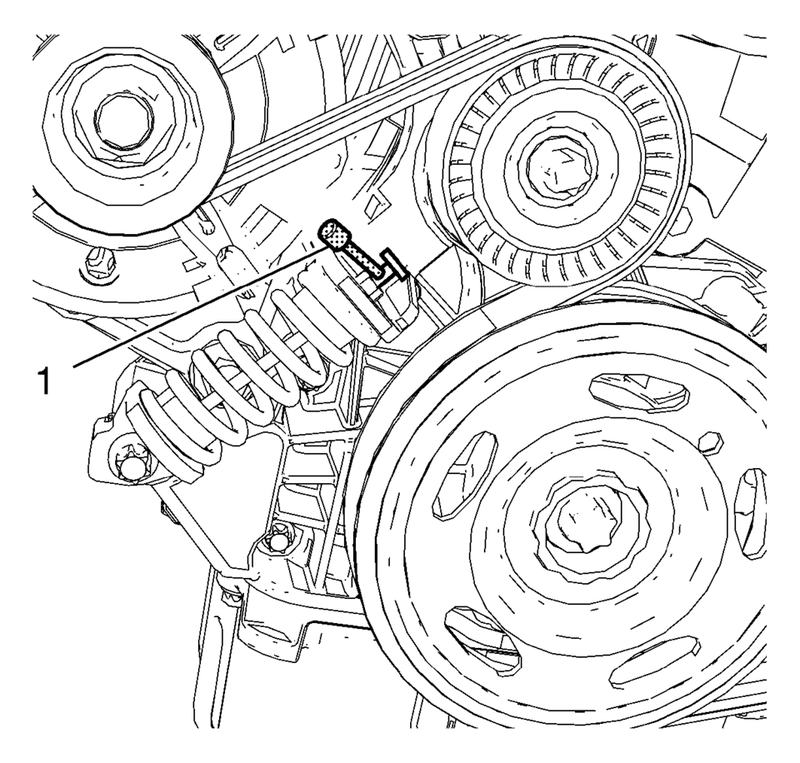 Install the EN-48488 holding wrench (2) to drive belt tensioner (1). 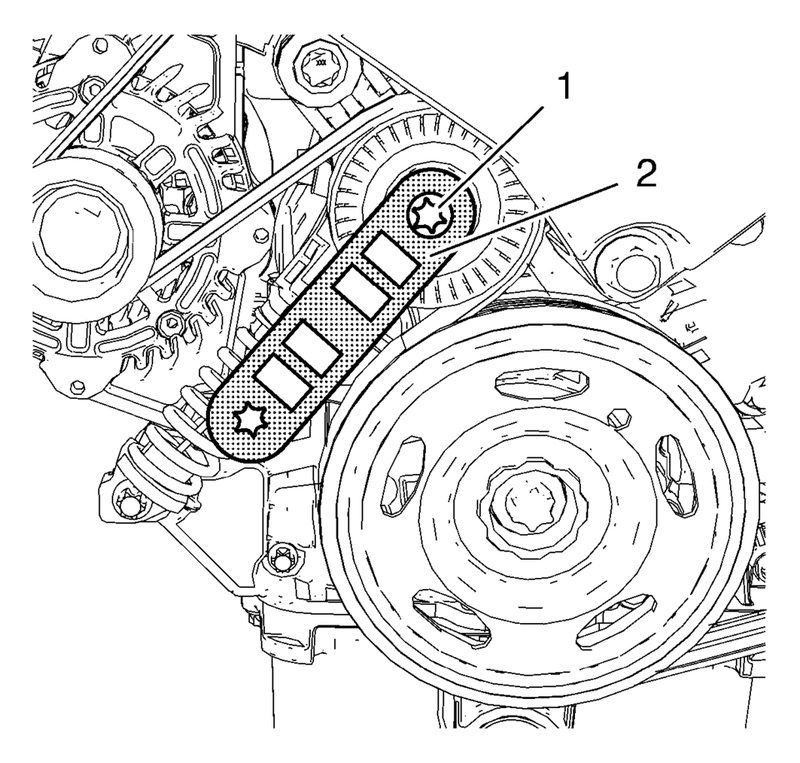 Move the drive belt tensioner clockwise until EN-955 locking pin can be removed. Allow the tensioner to slide back slowly. Install the engine mount bracket. Refer to Engine Mount Bracket Replacement - Right Side. Remove the engine support fixture. Refer to Engine Support Fixture.